The focus of Water Orientation is to instruct parents in methods that will help their infant and young child to become confident and safe in and around water. 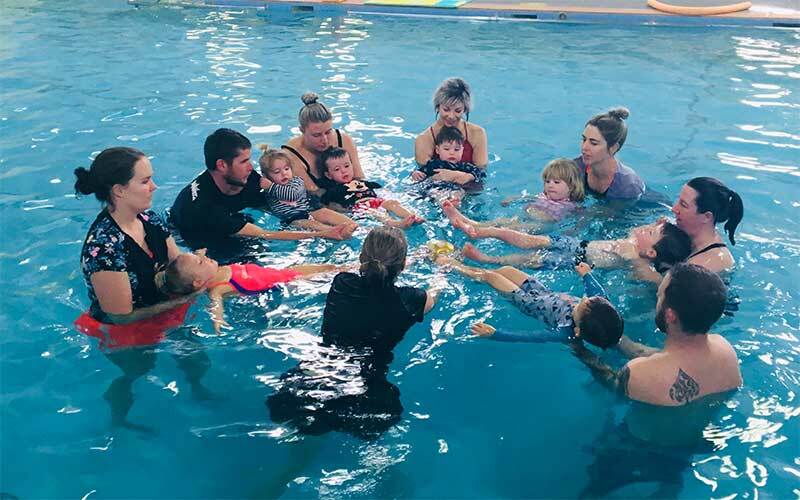 Our Accreditied Austswim Teachers are trained to introduce and educate you and your child to the aquatic environment in a safe and friendly atmosphere. Up to 7 participants may enrol in each class. Infants and toddlers are grouped according to age and motor development stage. Lessons include songs, routines and swimming activites with emphasis on fun and enjoyment. Our classes will provide a positive and happy learning experience for you and your child. Children from 3 years of age may have the option to progress into our Learn to Swim Program independent from their parent. This transition depends on child’s and parents readiness to be independent of each other. Click here to view our Learn to Swim levels and program. All enrolments are taken and invoiced for set Block of lessons. There are no scheduled classes during School Holidays or on Public Holidays. Invoices exclude all holidays. Family Fun Swims are available *every Saturday 12.00 to 2.00pm. *excluding School Holidays and Long Weekends. Cost: $15.00 per family or $5.00 per person.